What Are the Differences Between Scanners? 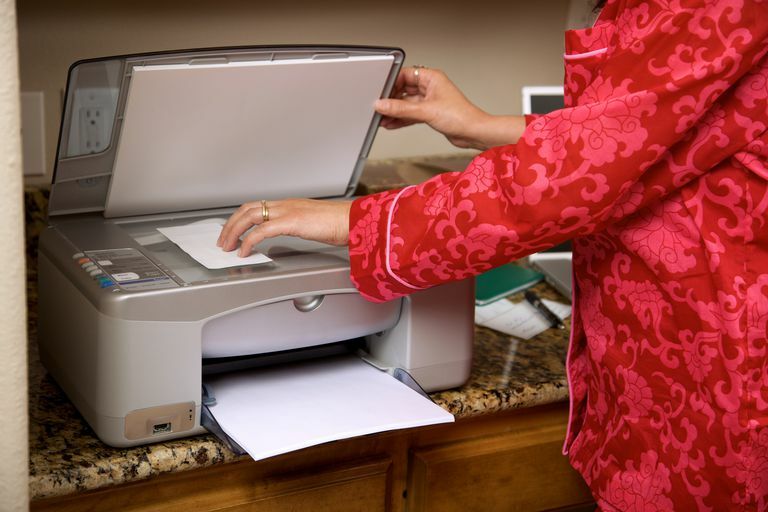 There are a few different kinds of scanners in the world and, as with printers, the one that’s right for you depends on how you intend to use it. The most common types are flatbed scanners, sheetfed scanners, photo scanners, and portable scanners. Let's take a brief look at the four different types and what they're good for before buying a scanner. Flatbed scanners will take up some desktop space but provide a lot of bang for the buck. They look like miniature printers with a flip-up cover protecting the glass platen. Depending on its size, a flatbed scanner can fit standard or legal-sized documents, and the flexible cover allows you to scan large items such as books. These scanners are great for scanning the occasional newspaper article, book chapter, or photograph; or for those who may need to scan or bulky items such as the cover of a DVD. Flatbed scanners are often built into multifunction printers (MFPs). You can find a decent flatbed scanner for $100 or less. Sheetfed scanners are smaller than flatbed scanners; as the name implies, you feed a document or photo into the scanner's automatic document feeder, or ADF, rather than place it on top of the platen one photo or document at a time. You’ll win back some of that desktop space with a sheetfed scanner but you may sacrifice some resolution in the process. If you’re only scanning documents, however, it may be a worthwhile trade, especially if you’ve got a lot of them since you can feed them in bunches. With a flatbed scanner, you’ll have to scan one page at a time (unless it comes with an automatic document feeder). Sheetfed scanners start around $300 and get increasingly more expensive, depending on speed and features. Most sheetfed scanners these days are quite fast and loaded with features for capturing and processing data. Portable scanners are small enough to bring on the road. In fact, some are small enough to put in your pocket; pen scanners are just a bit bigger than fountain pens and can scan the text of a document line by line. Some are as wide as a page and roll easily down the page. They’re not going to give high-resolution scans and so aren’t good for scanning photographs or other applications where you need a high-quality result. Since they’re not cheaper than flatbed scanners, they’re probably only useful if you are a student, a researcher, or a spy. Figure on spending about $150 for one. Also, figure that quality and accuracy are based largely on how steady and accurate you can hold the device while implementing a scan.